Matt Earley is a Co-Founder and Farmer Relations/Outreach Coordinator at Just Coffee Cooperative in Madison, WI. 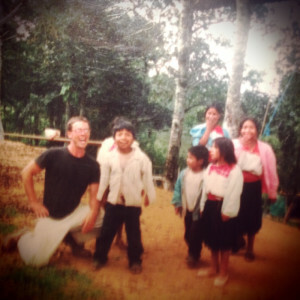 In January 2013, Earley was part of a small crew that ventured deep into Central America to explore how fair trade had impacted the lives of numerous cooperatives and farmers. The trip was documented in a video series called the Fair Trade Chronicles. dropped to a balmy one degree fahrenheit today, which seems especially bitter after being in the warmth of coffee country for so long. Adding to the disorientation of returning and getting back to the day-to-day is the information that I am carrying around. How can I communicate it to you all in a way that is true, positive, hopeful, and helpful? About a year ago I wrote a blog post entitled “Fair Trade is Dead.” I thought it was a pretty provocative title (although unbeknownst to me at least two other bloggers had already beat me to it) and I got a fair amount of feedback from the article. A year later I have not seen anything to change my mind about that statement. As a matter of fact, I would go even further to say that “fair trade” was never alive to begin with. It was a phrase a lot of us used to frame something that was — as Jonathan Rosenthal has called it — “slightly less unfair trade.” But even this just scratches the surface of what “fair trade” is, is not, never was, and now needs to be. The organizations in question — best exemplified by Fairtrade USA — are trying to capture and further commodify the idea into a simple label. They are experts at avoiding the above conversation, painting their detractors as zealots, and using the opposition’s own points against them with louder voices, more money, and better media contacts in a way that would even make George W.’s press folks blush with humility. They see that it has cracked wide open and there are a lot of dollars to be had in capturing the identity of “fair trade” and associating it with their own programs. They want to own the concept and they are willing to play hardball to make sure they control the conversation. The casual “consumer” is eventually either confused or turned off by the labels, the argument, and the frankly dumbed-down claim that by buying a product with a snappy label on it one can “pull a farmer out of poverty.” This oversimplified daydream may work for a while, but the info is now too easily available and the overall skepticism too rampant for the average “fair trade” consumer to believe in it for long. They eventually and rightly sense that something is not quite right here. But you know this story by now. So let’s call it what it is: Fair trade has never been “fair”. Ask a farmer– any farmer– who has been involved in “fair trade.” He or she is almost certainly still living in poverty and most likely still caught in a market that he or she has little control over using personal labor and arable land to grow a fragile crop that his or her family cannot eat and dependent on nameless buyers thousands of miles away. So the dirty little secret is out: you will not change the world solely by buying a bag of coffee. Alright, that hurt a little. But now that it is out of the way, we can get to the good parts — the pieces we can use to build this thing that we are all hoping for and working for in one way or another. What I am about to write comes straight from the farmers who we work with and who we visited with on our recent journey. I hope I can do our conversations justice. There is a stark imbalance of resources in this world. Trade, if it is done responsibly, can help with that, but it cannot be our only response. We need to connect with movements for local, regional, national, and international social and economic justice. There are all sorts of opportunities in any area to do this. Plug in! When we know where our things come from and who is responsible for producing them we begin to honestly care how those people are living. When we have relationships we are willing to put ourselves out there and do a little bit more to make sure communities are cared for. 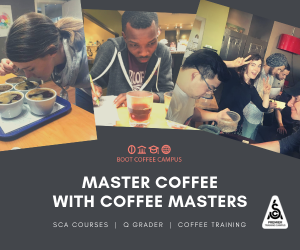 This can be done by visiting your local farmer’s market, visiting local companies who are doing cool things, or even joining a “delegation” to meet the people that grow your coffee. Connect! As humans we create labels to better understand complexities. In order to do that we have to ignore or downplay differences in reality. As we add more and more to the oversimplified model (like a “fair trade label”) we are led to, over time, believe in structures that are not representative of reality. A “fair trade label” on a bag of Starbucks coffee does not mean what we are led to believe. Go beyond labels and ask for real info– transparency. 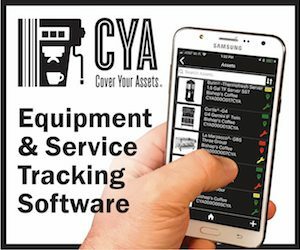 If a company you buy from will not show you where the money goes, ask them why not. Not long ago, Paul Rice of FTUSA sat in a room with a few of us in Madison and told us, I paraphrase, that “consumers” have a four-second attention span when shopping. FTUSA’s entire marketing and communication strategy is based on this “fact” and their label has been developed to work within those parameters. FTUSA’s brand of “fair trade” depends on this theory and the assumption that we are all too distracted to see that they have sold us all out to some of the very corporations that have caused the problems “fair trade” is supposed to address. My response is that every “consumer” is first a human being and that we should all be a bit insulted that people like Rice feel that four seconds is all that we are capable of when choosing what we support in the marketplace. We are people– not robotic economic objects– and we are capable of much more. Let’s show that this is true. Traveling to Chiapas, Mexico, for the first time changed my life forever and returning 16 years later has had the same dramatic effect on me. When I am in coffee country all of my ideas of who I am and who “they” are fall away and I realize that we are all exactly the same. We all love our families, want to be happy and relatively comfortable, and want to avoid pain and suffering as much as possible. We are all connected in a very real way. My daily habits and actions have a real affect on people thousands of miles away. And with increasing availability of the internets and whatnots, we can actually see each other and communicate with one another in real time. Now is the time to tear down these imaginary walls that hide some and protect others. I want to end this journey with a challenge: Let’s trash the “fair trade” label. Not this certifier’s or the other’s, but the whole thing. The hell with it. “Fair trade” was a good place to start, but contrary to popular thought, we are much more than consumers and we can do better than a dumbed down catch phrase that never was quite accurate. We are human beings and we are at our best when we work together and solve problems. And we have some serious solving to do. Only against the will of those comfortable with the status quo will exploitation of the less powerful by the more powerful ever change. 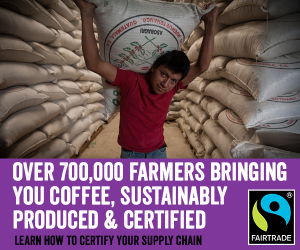 The demand for fair trade certification suggests a need to address exploitation and change the coffee industry. This is the main reason for support. The random unfairness of where one is born can only be addressed by mass political and economic action beyond the capacity of a coffee certification. 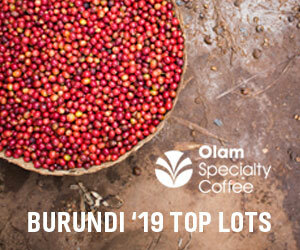 But a mass collaborative call to action from within the coffee industry is a powerful reminder that action is required. There has been no shortage of critics and opponents of fair trade certification, but at the end of the day, for us, it comes down to which side we want to be on; the side that accepts, or the side that rejects, the status quo. Better is possible, that is why we encourage supporting Fair Trade– warts and all. We have to start somewhere. As Mr. Early points out, there is a danger in the simple thought that buying FT coffee cures economic ills or greatly improves lives. Many complex and difficult battles remain ahead in that struggle. But is it important that Co-ops, strengthened by FT, may eventually be better able to exert the political pressure needed to win some of these battles? Before we trash FT, we might want to ask the Co-ops and their members now receiving pre-crop financing and guaranteed minimum prices, if this wholesale trashing is their preferred solution. While the coffee market is high, it is easy to think FT is not needed. 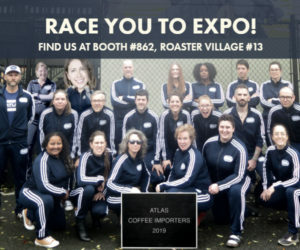 Looking back at the years of rock bottom prices, I doubt a lot of Co-ops would be in existence had it not been for the support and benefits roasters have provided by supporting FT. Thanks for your thoughts on the article. I am very pleased to see that the head of a large commercial importer is so passionate about the issues addressed in the piece. I would like to challenge your assertion that fair trade certification is somehow challenging the status quo. I would argue that fair trade certification has instead been absorbed by the status quo of the coffee industry. Certifiers have bent over so far for the large entities wanting a piece of the action that standards have become completely stuck or eroded. 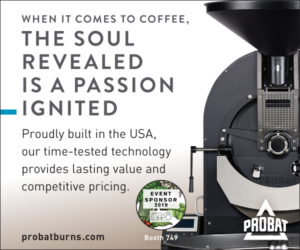 Look no further than the unilateral decision of FTUSA to allow plantations into their coffee certification model. Simply put: fair trade certification is not at all the revolutionary solution that you seem to be seeking in your comments. I agree that we have to start somewhere and that this is one of the remaining merits of FT certification. It sets a (weak) baseline for companies wanting to dabble in it and asks consumers to start thinking about the issue of how real people are affected by their purchasing decisions. My point is that instead of painting this as a solution we be clear that it is exactly what you mention: a starting point. And then we need to move on to more substantive responses in the industry and as coffee-drinkers. In your conclusion you suggest speaking with coffee co-ops and farmers before calling for abandoning FT certification. The purpose of the article was to convey the feelings of our trading partners–one of whom has worked with Royal in the past. The message here is as much from them as it is from me. I appreciate that other co-ops may have different perspectives. It is critical then that we engage in the conversation with them and to help people hear their voices. I certainly would be interested to hear what your trading partners have to say about the subject. If we trash the concept of certification what are we left with: Trust me? I think I’ll side instead with Mr. Fulmer. As imperfect as certification may be it at least engages the discussion of social justice. Besides, we’re a smaller cafe/roaster. 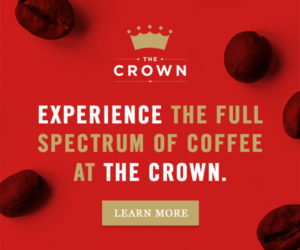 We rely on the good faith of our suppliers, which, in the interests of transparency, had included Royal Coffee in small part, but we don’t have the wherewithal to pursue direct relationships at this time. Should we be dismissed because we haven’t trekked the mountains of Guatemala? 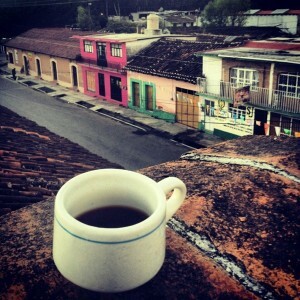 “The coffee trade in Chiapas, Mexico is a unique approach of sustainable development and economic integration, demonstrating that local social movements can change behaviors in international trade regimes. The Zapatista community of Chiapas, Mexico, has an impact on the global trade system, where resultant changes begin at the local level. In the southern Mexican state of Chiapas, factors contributing to the Zapatista rebellion have led actors within civil society to form new socio-political organizations capable of changing participation, norms, and economic outcomes during the post-rebellion period (1994 – present). This study explores the dilemmas facing the autonomy of actors in broadening and deepening their roles in the fair trade movement. It argues that innovative practices of fair trade coffee production, originating at the local level in Chiapas from Zapatista reform measures, has a transformative effect on international trade regimes. “The Zapatista social movement has aided Mayans and other groups in establishing new linkages where the impacts of fair trade are experienced beyond the local level. Social movement theorists provide an analytical framework necessary to examine these dynamic linkages between civil society, the state, and international trade regimes. However, contemporary Latin American social movement theorists do not seem to have adequately transcended the dualism between civil society and the state. The importance of this study is that it illuminates how, although the state remains the principle actor, these linkages formed by fair trade have important repercussions for the autonomy of indigenous groups in pursuing independent economic relations. Findings illustrate that fair trade is a viable means to socially re-embed international trade relations, attributing new rules, norms, and procedures to trade regimes. You ask if you should be dismissed because you have not trekked the mountains of Guatemala. No, you should not be dismissed. 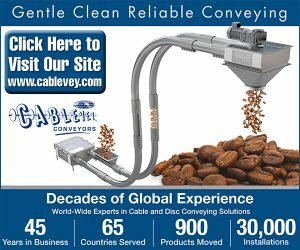 I would ask, however, how your company could make a fair trade claim if you have not met the people you are buying FT certified coffee from. That– based on the the spirit of FT– is problematic to me and in my opinion points to a lot of the issues that I try to address in my article. FT is about relationships between farmers, buyers/roasters, and consumers. I think that simply ordering coffee off of an importer’s menu that has “FTO” next to it does not accomplish the relationship-building that FT aspires to. 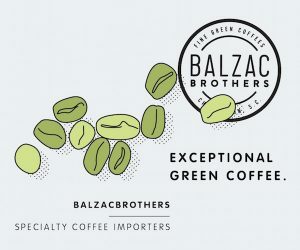 I also would like to point out that– as much as I enjoyed the awesome quote about the Zapatista movement– the Zapatista co-ops are not fair trade certified by any organization. They embrace a movement-based approach to FT (as opposed to label based or government intervention) to solving the problems that “the label” attempts to address. We have worked with Yachil Xolobal Chulchan (the only Zap co-op exporting to the US) for over 10 years and my article reflects some of their ideas– if I did their voices justice. Thanks again– I enjoyed reading your letter. The blind man touched the Elephants tail and thought the Elephant looked like a snake ! Spoken like a twenty something just discovering the world is not a nice place to be a coffee grower . There are. NO big ideas in the piece. But I agree with that labels don’t tell the whole story, just as the article’s words and thoughts fail to tell the whole story. Had they gone to Nicaragua with me two weeks ago they would have come home with a different story. I am happy for her. She has almost found her voice, but when you play with other peoples lives, you don’t throw the baby out with the bath water. Not without a replacement . I add. She subtracts. My beef with FTUSA is not about yes or no, but what ? When we empower Plantations and Estates to become Fair trade Certified, we have to trust that Overlords will strengthen the movement instead of taking advantage of exploiting while being politically correct, a gift given by the Certifying Agency. (FTUSA). This is a sell out. This is not agrarian reform. This is not “leveling the playing field” . Something is wrong with the current picture of Fair trade via FTUSA, but not bad enough to throw away the idea of supporting cooperatives. The challenge for us is to support small scale coffee farmer cooperatives while arguing against the destruction of the movement by ill advised leaders in power positions in the Fair Trade Movement. The solution would be to demand that the FTUSA Board of Directors have coffee coop leaders be a majority on their Board. Then these issues would become a primary dialog without the intermediaries doing the interpreting of what is god ad what is right. Well, after weeding through the odd metaphors and the semi-insults, I don’t think we are that far apart on some of this. I agree with you 100% that FTUSA has sold the FT movement down the river. What surprises me is that someone that is as intelligent, sharp, and experienced as yourself only offers asking FTUSA for reforms as a solution to the problems we both acknowledge exist in FT. If it was that simple, all of this would have been headed off long before we got to this point. But as we both know, FTUSA is great at talking, but not so good at listening. Beyond asking for reforms, it is not clear what you are offering in your response. As you said in your reply above: “No big ideas here”. At any rate your work, words, and perspective are appreciated. Thanks. If you think that calling for a majority of the FTUSA board in not a big idea, then I have to explain something to you about creating change. But that would be an insult , so let me just say that systemic change is a way to change many things at once. 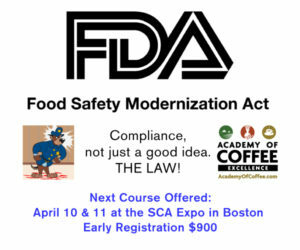 Millions of lives were changed when the cupping labs were proposed back in 1998. Then , with $400,000 we workrd with 8 coffee cooperatives in Nicaragua to build the first ones . 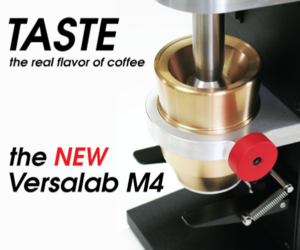 The cupping lab was a missing link in the chain. It was how the rivh kept the poor from knowing what they had.It provided the farmers with the tools of their trade, tools to apply technical assistance for quality improvement instead just for increased productivity. That simple systemic change enabeled small scale farmers and their cooperatives to join the Specialty Coffee Party and gave cooperatives the tool it needed to reverse their reputation for poor quality. The Labs empowered cooperatives. So I look for ways that a small change becomes a big idea. Now it is good that you did not see having Coffee Coop leaders as a majority on the FTUSA Board, because in the world of creating change it is always best to operate under the radar at first. I have reread your response and have to say, we do not disagree. I was so angered at FTUSA that I removed our company from its rolls. And it is true that he sold the movement up the river. 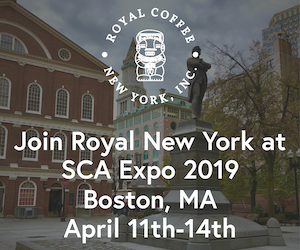 I remember walking in the hallway of the Convention Center in Boston with David Griswold and Paul Rice the last time the SCAA Convention was in Boston. Probably 10 years ago. 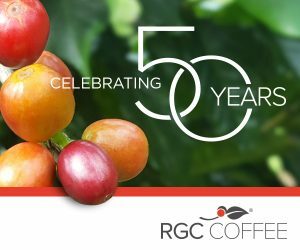 We had just come out of a very raucus meeting in which Paul and David presented the idea of Certifying Plantations to about 50 Fair Trade Coffee cooperatives. They were heckled in many languages and the idea failed to get traction. As we walked in the Hallway I asked why they had even entered the room with such an idea. As I recall, Mr. Griswold talked about the coops not having the quantity and quality to supply the bid roasters like Green Mountain Coffee. They argued that only the plantations and large Estates could meet the demand. I looked at Paul Rice and said , You never listen to me and I have been your strongest supported for as long as Fair trade has been here in The States. Paul looked back at me and said,” It wasn’t my idea, it was David’s”. I consider both David Griswold and Paul Rice to be friends so I am not on the attack here. I just think it is important to have some history in this conversation. Your point about selling out to the Majors has its truth born out for me a decade ago in the hallway of The Boston Convention Center. Now it would be interesting to have David Griswold drop into this conversation. His perspective and memory would be great to have here because I believe his green coffee importing company is a political action company is held in high regard, especially by me. In the end, it is fair to say that Paul Rice has fractured the movement to the point where it has become suspect at best and confusing at worst. Thank you for your blog! I collaborate with Puente a la Salud Comunitaria in Oaxaca, Mexico. We strive to promote food sovereignty and amaranth. I believe a food movement could be transformative, although I also think it would need to bring in many other groups, incl. water, social change, etc. aimed at supporting sustainability/ecological systems for future generations. Matt, I totally appreciate your devotion to the principles of fair trade, the Platonic ideal of Fair Trade™, which on our imperfect plane, Earth, will probably never live up to its lowercase original. I am the owner of a chocolate company, a professor who teaches about fair trade and Fair Trade™, and the president of Project Hope and Fairness, an NGO devoted to helping cocoa farmers. For 10 years, I have been visiting 16 villages in Cote d’Ivoire, Ghana, and Cameroon. For 10 years, I have puzzled over what fair trade can become. The first year, I visited Kuapa Kokoo, a cooperative of 50,000 farmers who sold 2% of their beans for Fair Trade prices. Now I believe the proportion is over 20%, perhaps higher. I raised money for that cooperative and for another in Cote d’Ivoire. One year, I brought students with me to visit and was told to not come back unless I brought money with me every time. Last year, I talked to two cooperatives in Cote d’Ivoire that had bins in their warehouse for “Fair Trade”, “Rainforest Alliance”, and “UTZ”. I was told by both cooperatives that no one under 18 works on any farm that sells beans sold under one of these three certifications. Having visited many farms and farmers, I knew instantly that I was being lied to; claim what you want, cocoa will involve child labor unless corporations take it over. So much for the Platonic ideal. I do not believe that any certification will get us anywhere close to what we want. I disagree with the United Students for Fair Trade that FT is a “movement, not a brand.” It IS a brand and it can only become a movement if we follow Vandana Shiva’s advice to get our hands dirty–as you do. Otherwise, as Paul Rice observes, and I agree with him, the average consumer doesn’t want to know the details. They think of the world as dualistic–bad (not FT) and good (FT). So, my chocolate continues to be certified by FairTradeUSA because it is a brand and I know that it is a long way from solving problems associated with our neo-colonialist world. The movement part is what I do personally, knowing that most people don’t want to visit African cocoa farms but prefer to buy my chocolate knowing that it is Fair Trade and that I do help cocoa farmers. I have an NGO (Project Hope and Fairness) that brings tools to farmers, that brings students and others to the farms, and that is working on building a cocoa study center in Ekona, Cameroon where students and farmers can work on “de-colonializing chocolate” by making it a locally sold product. Also, within one month from today, PH&F will have finished building a rice hulling center in Depa, Cote d’Ivoire and women of five surrounding villages will no longer have to pound rice in a mortar every evening to make dinner. So, to sum it all up, I live in the Fair Trade™ world, knowing that to get closer to the Platonic idea of fair trade, I need to become the solution by helping as many people as I can to get their hands dirty. Do you know Dr. Steven Gliessman of UC Santa Cruz? I totally admire what he and his students are trying to achieve with the Community Agroecology Network. They are getting their hands dirty. So are you, and so do many small coffee companies who practice “direct trade.” I wish the chocolate world were as far along as the coffee world. Not a systemic change on an industry wide scale but a local change where it all happens. Spreading upward requires a critical mass and that comes from people who actually become Social Workers in their field , whether it be Chocolate, Coffee or Graphite pencils. It is not easy work, and not all are cut out for hands on field work. But those who are cut from that mold make up for those who can only give support by using their purchasing power or their marketing as a way to educate. A movement organization helps people get their juices going so they want to be in the field working with people. If TFUSA becomes an entry point for someone to have a way to walk over the bridge into another country’s interior, that may be it’s greatest value. Another challenge is how do we communicate in a real and relevant way to consumers to care more about their purchases than a tiny sticker on a bag, and that’s the real difficulty. In many ways we’ve made it increasingly difficult to consumers by coming up with all of these various certifications and models with different names (but trying to accomplish the same thing) and we’re relying on them to buy based off those labels. And since FT has had the largest marketing budget, and done the most work in creating a response to the need of ethical purchasing on the consumers end, that is what they know and are looking for. 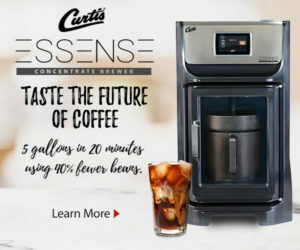 But as this article states, it’s not the end-all-be-all for coffee right now across the board. And yes, I know they’re working on it, but we’ve yet to see how it all plays out. We need to make purchasing coffee as ethically and socially responsible as possible to consumers. FACT. 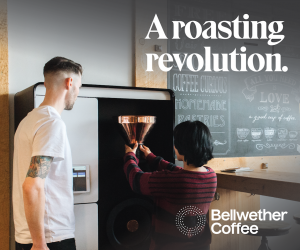 How do we do that, and how do we create something that addresses all the harsh realities and complexities of growing coffee and shipping it halfway around the world? That is the real questions.